455 Eudy Road China Grove, NC. | MLS# 3359416 | Kannapolis Homes for Sale, Property Search in Kannapolis. 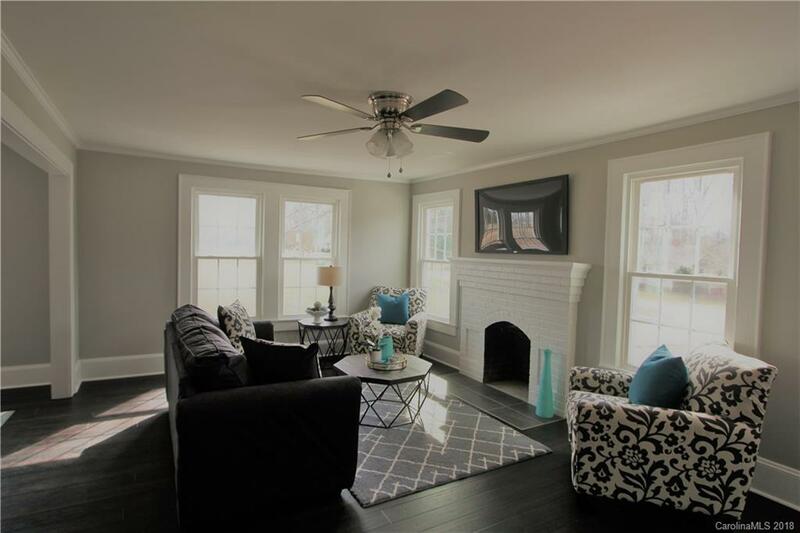 Beautifully remodeled traditional 1.5 story full brick home with 3 bedrooms, 2 full baths on a quiet peaceful street in China Grove. Over 2,000 square feet. Large Master bedroom with wood burning fireplace and huge master bathroom with double vanity’s and separate shower and tub. The home has tons of new features such as smooth ceilings, fresh modern grey paint, new brushed nickel light fixtures, new carpet and padding in upstairs bedroom, new bamboo flooring and new tile flooring in bathrooms! Dream kitchen with new shaker cabinets that include “Soft Close” doors and drawers. Tons of cabinets space with new pantry as well. New Granite counters, Subway Tile back splash, new Stainless Steel Appliances. Large Two Car Carport & fresh new gravel driveway that leads to detached 1 car garage. Rocking chair front porch. New vinyl replacement windows, new soffit and boxed eves and new white gutters. Large lot over 1 acre. New Glass storm door on the front.